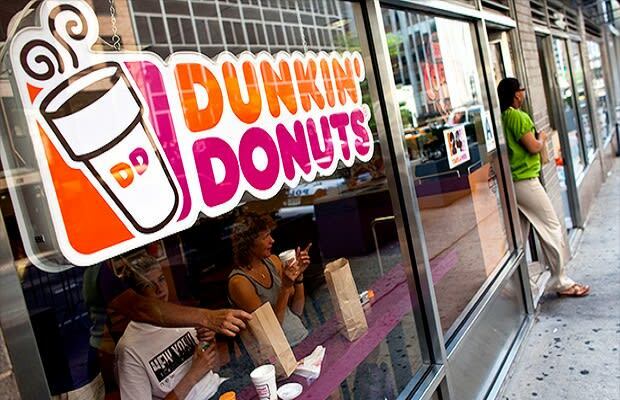 Dunkin&apos; Donuts continues their trailblazing activities, revealing that they will offer gluten-free cinnamon-sugar doughnuts and blueberry muffins across the nation this year. In an email, executive chef Stan Frankenthaler said the company "acknowledged the importance of providing our guests with many options, including alternative choices for people with food and dietary restrictions." The gluten-free pastries will be available at participating locations across the U.S. and will be sold in separate packaging to avoid contamination from foods containing wheat flour. Gluten-free foods could rapidly become a means for restaurants ranging from large chains to small coffee shops to cash in on health awareness, as terrible as that sounds.